Seymour Bialer, 89, of Sayville, LI, and St. Croix (USVI), died on January 19, 2019. 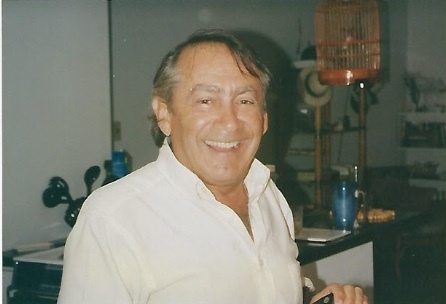 A lifelong resident of the Sayville area, Seymour graduated from Sayville High School and for many years owned and operated the Sayville Men’s Shop alongside his brother, David. Mr. Bialer was an avid boater, fisherman, scuba diver and outdoorsman but loved most of all being out on the waters of the Caribbean or the Great South Bay. Mr. Bialer is survived by his wife, Carol, his children, Judith (Anthony) Amendola of Worcester, New York, Michael (Holly) Bialer of Florida, Jack (Marilyn) Geoghan of Bayport and Terence (Stephanie) Geoghan of Maine, his grandchildren, Dana (Cassie) Carver-Bialer, Gillian Bialer, Sydney Geoghan and Liam Geoghan, his great-grandchild, Rowan, his sister-in-law, Lee Bialer, as well as several loving nieces. Friends and relatives will gather Thursday, January 24th, 2-4:30 & 7-9:30 p.m. at Raynor & D’Andrea Funeral Home in Bayport where a religious service will be held on Friday, January 25th at 11:30 a.m. Interment will follow at St. Ann’s Cemetery in Sayville.